A long while back I borrowed a friend’s weekly blog feature called the Friday Five. I thought this might be a fun thing to try again, because usually the reason I don’t blog about things is because I don’t feel I have enough to say or don’t know how to say it. Also, this is not Friday, and I don’t care because rules don’t matter and it’s my blog, goddammit. Most of what I have to talk about today is Final Fantasy related, but I’ll begin with the one thing that’s not! I finally finished reading the fourth installment in Anne Rice’s Vampire Chronicles, The Tale of the Body Thief. This book centers once again around her vampire anti-hero Lestat de Lioncourt, and focus on his desire to become human again, as well as his relationship with a human man called David Talbot, head of the reclusive paranormal investigative organization, the Talamasca, and his regret concerning his lost vampire daughter, Claudia, who died in the first book. The book begins with Lestat deep in an existential crisis about the nature of being immortal, and is haunted by memories of Claudia, as she appears to him in ghostly form and taunts him. He also begins a close friendship with David Talbot, with whom he has many theological arguments about the existance of God and Satan, and who he desperately wants to make a vampire, so that they can be partners, but David refuses and claims he will never accept the “dark gift.” Lestat begins to loathe his own immortality and decides to take his own life, traveling into the Gobi Desert and rising up into the sky to meet the sun and burn to ashes. However, he discovers that he can no longer be killed by the light of the sun, and is instead extremely wounded. After finding his way back to David, who gives him safe haven while he recovers, Lestat meets a psychic who has the ability to switch bodies with people, and discovers that he has the chance to become human again. He makes a deal to switch bodies with the psychic for a few days and live life as a human again, to discover if this is what he truly wants, but when they switch bodies Lestat quickly discovers that the psychic has stolen his body with no intention of ever returning. Before he can try anything to catch the thief, he becomes sick and is hospitalized, only to be rescued by a nun who takes him home with her and nurses him back to health, falling in love with him in the process. Still enduring visions of Claudia speaking to him, he travels to New Orleans to find Louis, his vampire child, in the hopes that Louis will give him vampire blood and make him immortal, so that he can go after the body thief. Louis refuses and leaves him, and with nowhere else to turn he finds David again, who agrees to help him get his body back. 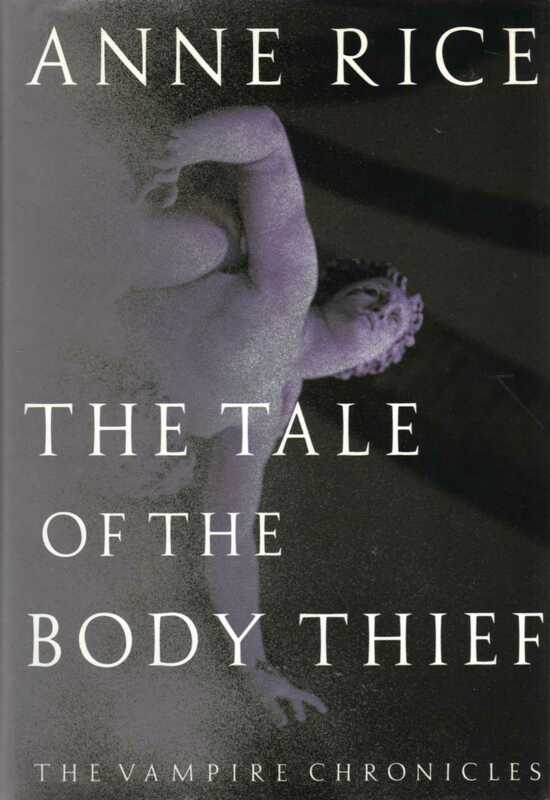 The two track the Body Thief by a string of killings clearly committed with Lestat’s body, and find him on board a luxury cruise ship, where they board and confront him. Lestat gets his body back, but has to get away from the light of the sun and rest for the day, leaving David to fight the Body Thief alone. When he awakens he discovers that David has escaped the ship, but before he can travel to New Orleans to rendezvous with David he first visits the South American jungle, where the nun who had nursed him back to health had returned to care for the sick. He reveals himself to her and proves that his tale of being a vampire was true, but she is unable to comprehend the reality of it, and runs from him, praying before a cross and receiving stigmata, while Claudia continues to taunt Lestat from the shadows. He leaves his lover in the jungle, and returns to David, who finally accepts the dark gift, but when Lestat begins to drain him, he realizes that it’s the Body Thief in David’s body, and in a rage, he mortally wounds him. Distraught, he finds David, now in the body of the young twenty-seven year old man Lestat himself had inhabited during his time as a human, and David is delighted to be given another chance to be young, still refusing the dark gift. After meeting up with Louis again and chiding Louis for turning his back on him, he finds David again and makes him a vampire against his will, proclaiming himself to be evil, and that David never really knew who he truly was. In the end, David escapes Lestat, and Lestat finds him back in New Orleans, living with Louis in the little house where Lestat and his vampire family had once lived themselves. David has come to terms with being a vampire, and Lestat is finally able to let go of the memories and regrets tied to Claudia, beginning a new chapter in his life with David and Louis as his companions. This book definitely had a more episodic feel to it than the first three Vampire Chronicles, which all seemed to be a part of one larger tale. Lestat’s interactions with David and their musings on the nature of the existence of God are very interesting, and every scene with Claudia’s ghost is intense and gratifying. Ultimately Lestat’s adventure comes to a close with the only true change in his life being the addition of David to his coven, and the story is over for now. I enjoyed the book, but not as much as the densely packed second novel The Vampire Lestat. Still, I’m sure I’ll pick up book five and continue to read about Lestat’s adventures whenever I can muster up the strength to make my way through another Anne Rice novel. Last year I finally got my own Playstation Portable, after years of wanting one, and I’ve managed to amass a pretty nice Final Fantasy collection for it. There was a sale this past week on the Playstation Network Store on many of the Final Fantasy titles, and I got my hands on the Playstation Classics versions of Final Fantasy V, VI, and VII. For me, having Final Fantasy VII on a portable device is literally the realization of a childhood dream, as I used to fantasize about just that. I remember hearing from someone when I was a kid that the Gameboy Advance was technically as powerful as a Playstation, and I used to fantasize about having a Gameboy that could play Final Fantasy VII. When Sony released the PS One, which had an attachable screen, I used to want one so that I could take it with me on car trips (although I don’t think I realized that there are no wall outlets in cars). Now, I finally have Final Fantasy VII in portable form, and it may seem silly, but the seven year old in me is still pretty psyched by this. In addition to getting the PSP games, my boyfriend surprised with a copy of Final Fantasy I & II: Dawn of Souls for Gameboy Advance, in the box with the booklet, that he found at our local game store. This means that I now technically own all of the Final Fantasy main series games in one form or another, with the exception of Final Fantasy IV and Final Fantasy XI. Once I have Final Fantasy II and Final Fantasy IV: The Complete Collection for PSP, I’ll have almost the entire series up until Final Fantasy IX available to me on one device, which is just pretty amazing to me. The very same boyfriend mentioned above (with whom I will soon share a two-year anniversary, by the way) also ordered a copy of Dissidia 012: Final Fantasy for me recently, which until the recent sale, I have not put down for a single day. 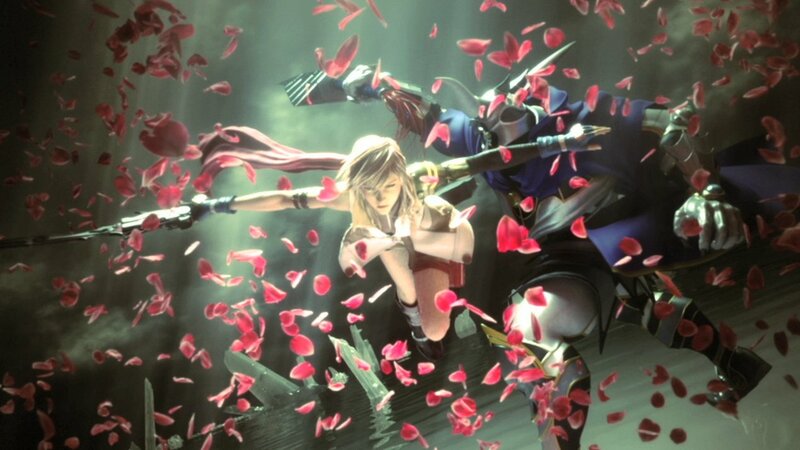 It’s an RPG-style fighting game with a huge storyline that is the prequel to the first Dissidia. It has a lot of new characters, and actually has all of the content from the original game, including the story campaign, with tons of new content and features. Had I known this from the beginning I probably would have skipped the first Dissidia and gotten this one right away, but at least I’ve fully experienced the original before playing the new game. 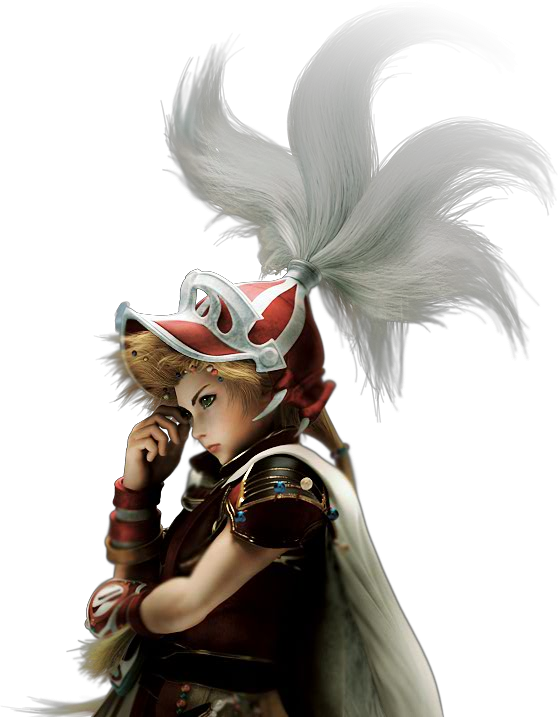 It has some of my favorite characters from the series: Lightning, Tifa, and though I really don’t like Vaan all that much, he is a representative for Final Fantasy XII, which is one of my favorites. All in all it’s a massive game with a ton of story, characters, abilities to learn, gameplay modes, customization, alternate costumes and additional stages to earn, plus a whole lot more. It’s absolutely a triumph of a game, and I reccomend it to any Final Fantasy fan. 4. Bravely Default or Lightning Returns? In even more Final Fantasy-related news, two games I’m looking forward to are coming out this month: Lightning Returns: Final Fantasy XII, the final installment in the Final Fantasy XIII trilogy, and Bravely Default, a pseudo Final Fantasy game that began as a sequel to Final Fantasy: The 4 Heroes of Light and eventually evolved into it’s own universe and has been marketed as such, though it uses the classic Final Fantasy job system and has many other staples of the series. While I’ve been looking forward to Lightning Returns for a LONG time now, I’m honestly not nearly as excited as I was around the time of the game’s Japanese release last year. I have no idea why they decided to delay the American release of the game, but Square Enix has already ruined most of the game for me with trailers and information they released before the Japanese release of the game, and the internet ruined the rest because I couldn’t resist the temptation to watch the ending. For the record, if you look at my “review” of Final Fantasy XIII, you will notice that I totally called the ending of this trilogy a year ago, right after I beat Final Fantasy XIII-2. If you don’t want me to spoil it for you, then you probably shouldn’t read about it, but suffice it to say my prediction for the ending of this trilogy was almost exactly spot-on. At any rate, I’ve sampled Bravely Default and it looks INCREDIBLE. I may have some extra money to spend on a game this month, and though I’ve eagerly anticipated Lightning Returns for over a year now, my excitement for the game has long since fizzled to a casual interest in finally completing the trilogy. Don’t get me wrong, I’ve played the demo and the game looks extremely fun, continuing to revolutionize the combat system and finally tying up all of the loose ends in the trilogy, but at this point I’m fine with waiting and buying Lightning Returns when the price goes down or getting a used copy. 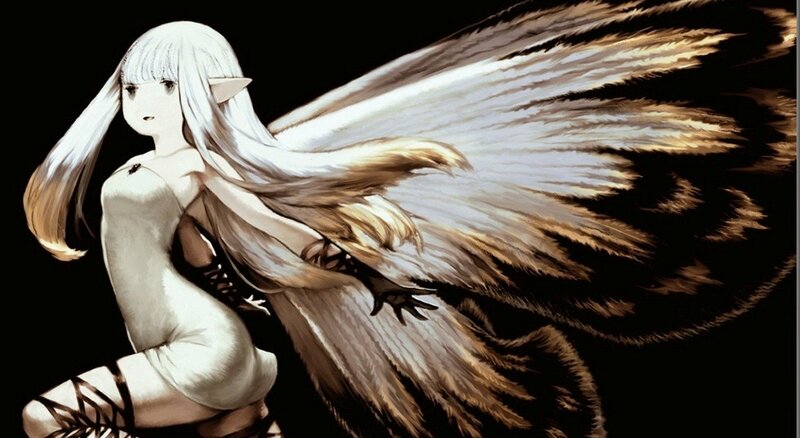 Bravely Default is something brand new that looks much more exciting to me, and though I’m currently in the midst of playing through Final Fantasies III, VII, VIII, and Dissidia 012 (with V and VI still to go), whenever it’s time for a new game, I really think I’m leaning toward Bravely Default. For the time being though, it’s probably best to just hold on to my money and finish the games I’m already playing. And finally, after putting off making an account there for years because I couldn’t come up with a username I liked well enough, I have finally made an account on the Final Fantasy wiki. My profile is currently under counstruction, but I went with the username TheOnionKnight, because he’s an awesome character in Dissidia and I’ve always liked the job class, even though powering it up in Final Fantasy Tactics: War of the Lions is so tedious that even I, with my seemingly unlimited patience for grinding, will probably never achieve it. 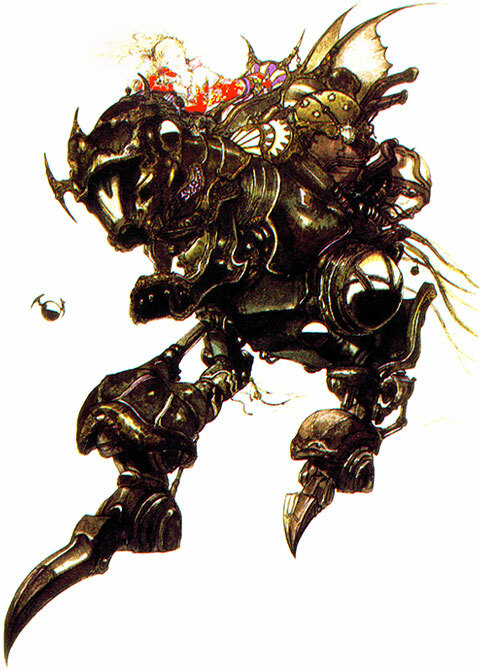 Still, I’m really excited to finally be an actual part of the Final Fantasy Wiki community, and who knows, maybe I’ll try writing a walkthrough at some point. At any rate, there are lot of people to ineract with and now I’m not just some faceless stranger posting questions on the wiki’s talk pages or laughing uproariously at BlueHighwind’s walkthroughs from behind a shadowy veil of internet anonymity.